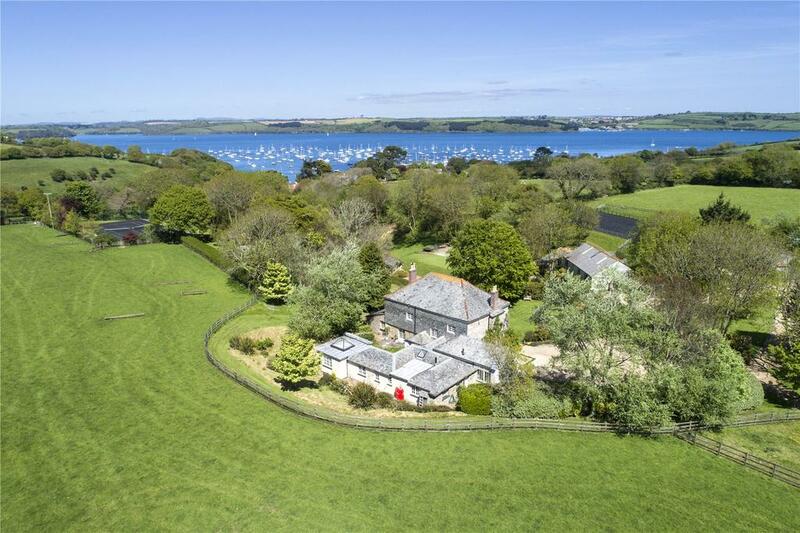 Porloe Farm is the ideal home for the keen country sporting enthusiast, boasting both an equestrian school with stables and access to the waters of Mylor Creek. 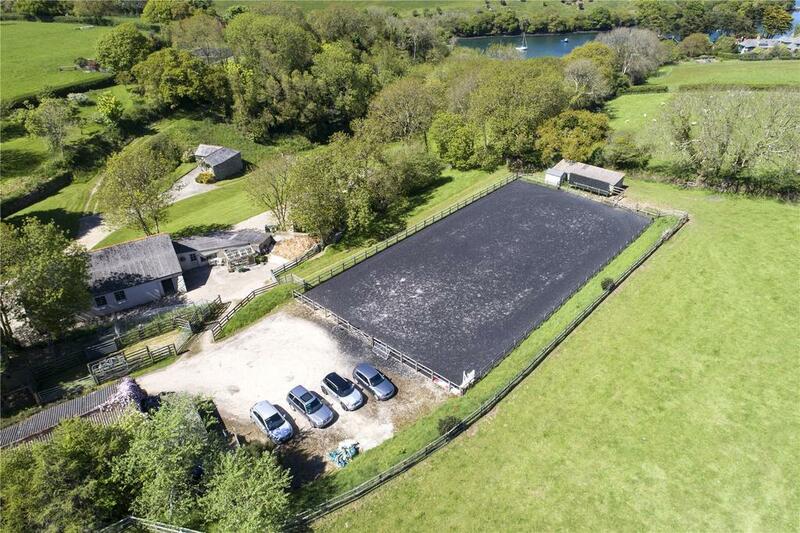 Set within 19 acres of gorgeous Cornish countryside, Porloe Farm can be reached via a long drive, dotted with picturesque paddocks on either side. The Grad II-listed Georgian farmhouse and its surrounding lands are currently on the market with Savills at a guide price of £3.25 million. Previously owned by a packet ship captain, Porloe benefits from close proximity to the waters of Mylor Creek. With it’s own private track towards the bank, the property is the perfect place from which to launch a dinghy, tender or kayak. 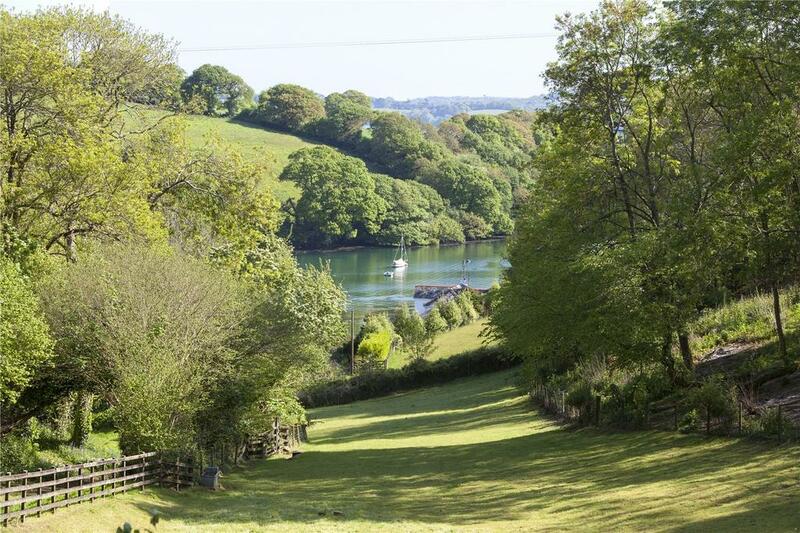 Not only an ideal location for boating enthusiasts, Porloe farm is ideal for any horse lover looking to home both themselves and their equine friends, boasting a sand school as well as stabling for five horses. 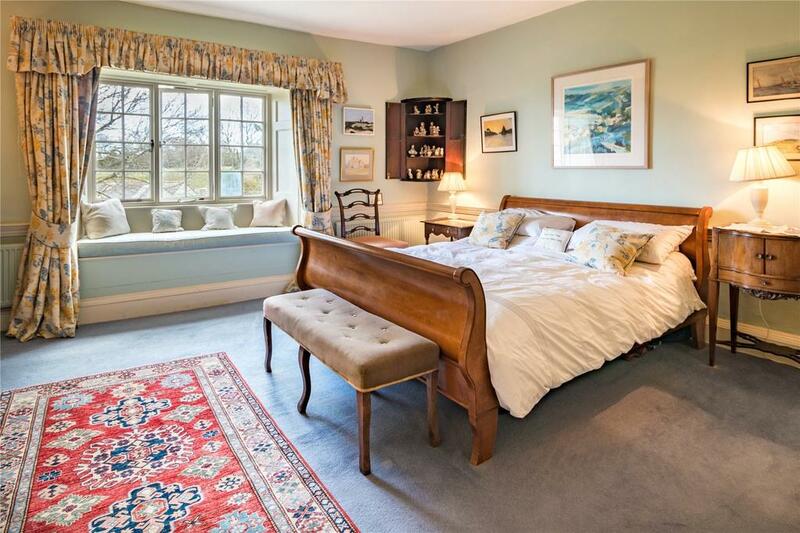 The house itself is not without its charms, retaining original features throughout its many rooms. The kitchen benefits from flagstone flooring and a gorgeous AGA. 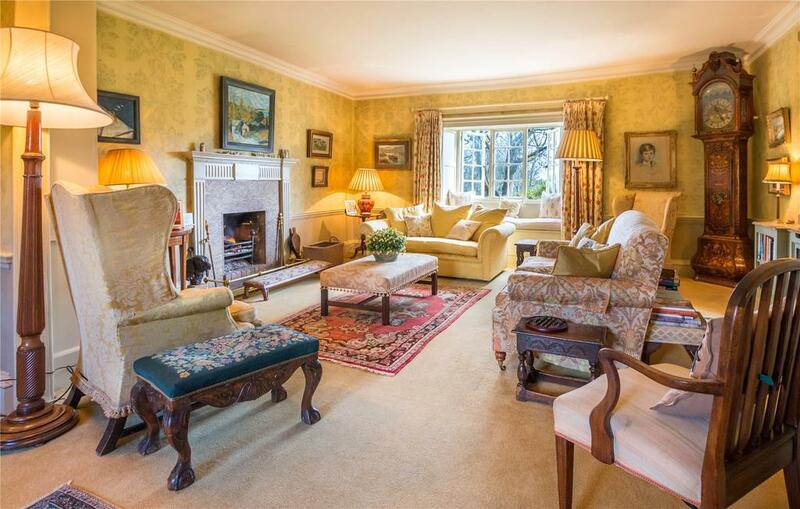 The formal drawing room has a stunning marble fireplace, with French doors opening out to an elegant courtyard. A ‘secret’ hatch in the drawing room leads to a hidden wine cellar. Up the original, preserved staircase lie three bedrooms, two with en-suites, one with a dressing room. The final guest bedroom is downstairs, featuring twin doors leading outside. In addition to its light and airy conservatory, Porloe has a second kitchen / pantry, a boot room, a utility room and a second pantry. A number of outbuildings grace the grounds, including two barns, two tack rooms and a feed room attached to the stable block. The water is easily viewable from the tennis court, sand school and paddocks.  But one needn’t look further than the house for picture-perfect views, as the formal gardens have been landscaped into lawns tailor-made for an idyllic summer party. 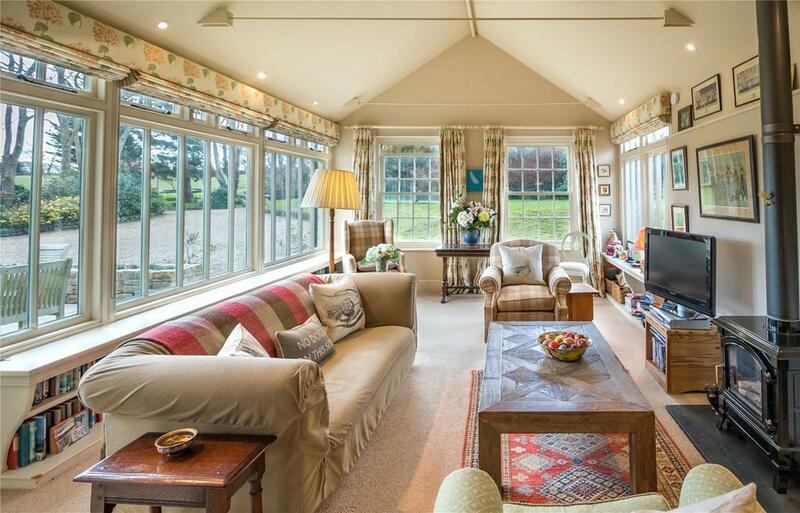 Porloe Farm is on the market with Savills at a guide price of £3.25 million. Click here for more pictures and information.